questions or queries regarding our products that we stock both on our website and in store. 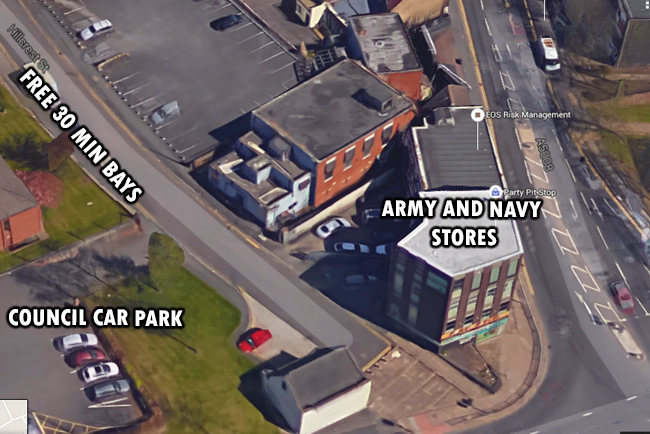 To find parking to get to the shop follow postcode: ST1 2AB. This will bring you to the back of the shop onto Hillcrest Street. Here you can find free 30 minute parking bays (marked in white on the road). Alternatively if there are no free spaces in the 30 minute bays, a pay and display council car park is situated behind the shop. Use the ‘directions’ option to plan your route to the store.